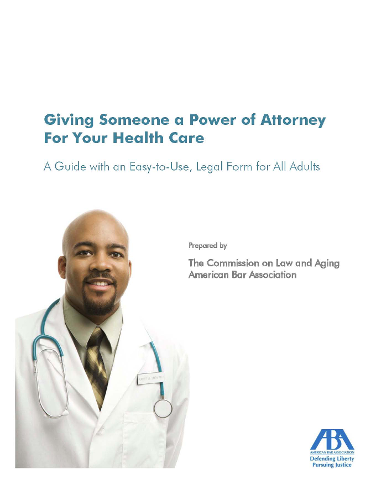 The American Bar Association’s healthcare directive, Giving Someone Power of Attorney for Your Health Care: A Guide with an Easy-to-Use, Legal Form for All Adults, combines the legal requirements for most states into a single document that most people throughout the country can use. 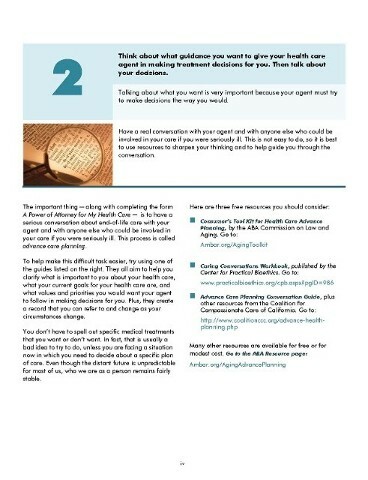 Instructions about end-of-life treatment choices are often dated and too vague. 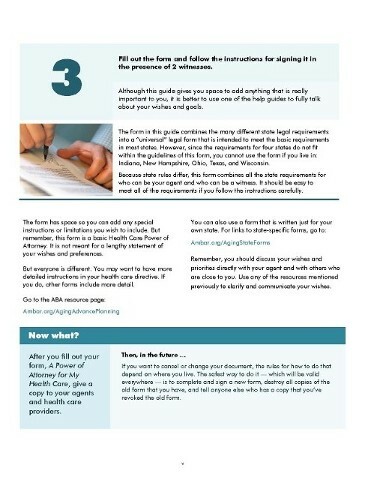 To address the issue, ABA staff devised the draft, then we wrote it in plain language and made the design easy to follow. Our document was clear, inviting, and legally sound. 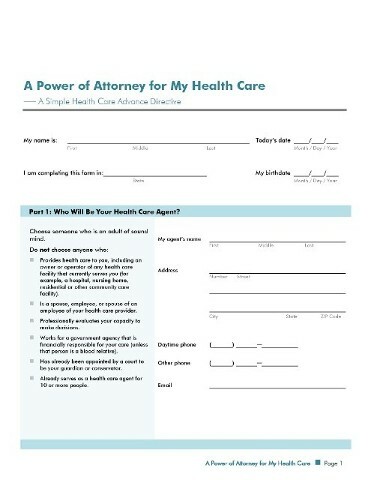 “Users of the form will notice that the instructions for who can serve as one’s health care agent and who must witness the document are fairly detailed and extensive. That is because state law requirements vary considerably, so combining all those requirements into one form results in a longer list of requirements than exist in any one state. The ClearMark awards honor the best in clear communication and plain language, celebrating documents and websites. The airy form itself is a relief from the density that afflicts so many forms. The writing expresses complex considerations without overwhelming. The thinking is tough-minded, but the writing is never intimidating. That’s quite a feat. It has the big three: meaty content; strong, visible organization; and effective wording. The instructions and form are almost fun to work through. 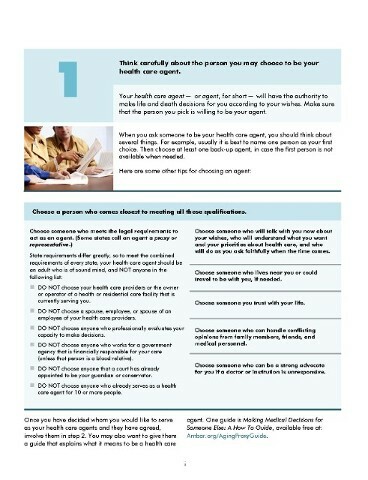 The layout and wording show great attention to helping users navigate the document and understand the words. 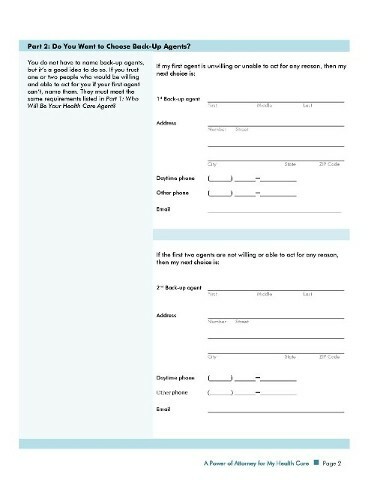 For all its details, the document never overwhelms, because it is presented in well-worded, visually attractive units.